Ballycotton (Irish: Baile Choitin) is a village in County Cork, situated about 40km (25 miles) east of Cork City. 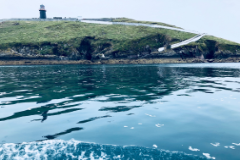 This famous seaside and fishing village is set on a rocky ledge overlooking Ballycotton Bay which has sandy beaches that stretch for about 25km east to Knockadoon Head. 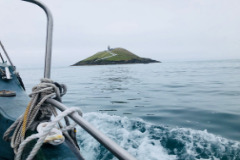 The existing village is actually a resettlement of an older village now entirely underwater due to Ballycotton experiencing severe coastal erosion and is therefore a site of international research interest on coastal erosion. 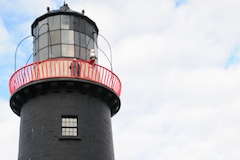 The Ballycotton area has plenty of character; clean and unspoiled sandy beaches, coastal bird watching, an abundance of historic tales, rocky bays and boasts a dramatic coastal and famous cliff walk. 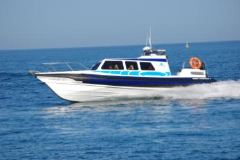 There is plenty of breathtaking scenery, cliff walks and an abundance of peace and quiet but also great restaurants, pubs, live music and accommodation.